The most used Jeep appearing at several different points during the movie. The number #10 Jeep was unique as it had no roll cage and was meant to be used as a utility vehicle. It is first parked in a field while Dr. Harding tends to a sick Triceratops. It reappears as the search vehicle driven by Muldoon and is damaged in a T-Rex attack. At the very end of the film it is driven by John Hammond and is used to flee from the island. Jeep #10 is also the only Jeep in the film to have a manual transmission; however later in the film the Jeep used is an automatic. This Jeep also lacks a Mopar Light Bar, and CB antenna (but the mount is there) which could mean that this was a different Jeep that was renumbered. 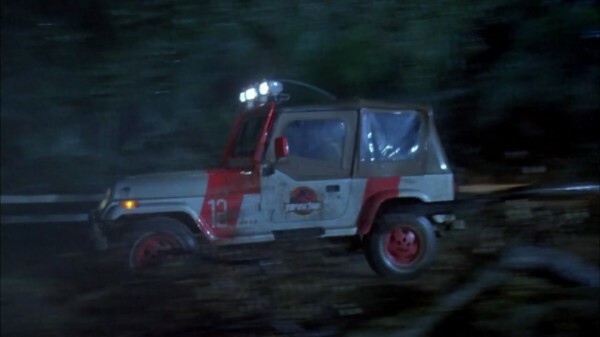 This Jeep is driven by Dennis Nedry as he flees Jurassic Park with the stolen embrios and is the most featured Jeep in the movie. 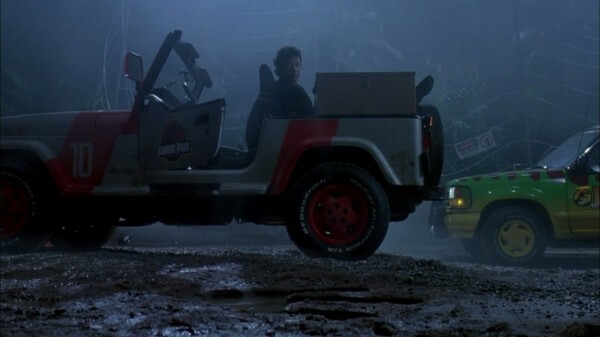 It also has the most options out of any Jeep in the films and is the only Jeep to use its Soft Top. Unlike the other Jeeps this one utilizes its Light Bar and has a full array of four Jabsco 135SL fully motorized search lights. The Ramsey winch is also used as Nedry attempts to free himself before getting attacked by a Dilophosaur. 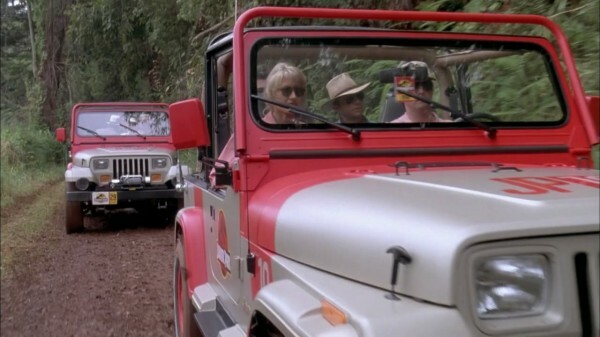 These final two Jeeps are identical and are the first Jeeps that are seen in the film. They pick up the characters that arrive via helicopter and transport them to the visitor center. They are being driven during the momentus first time seeing the dinosaurs of Jurassic Park. These Jeeps are similar to Jeep #12, and were intended to be indentical. The main difference between these Jeeps and #12 is the lack of Jabsco 135SL search lights (but the wiring location and light bar are present). The lights may have been installed but removed as they would have gotten in the way for the shots of the Jeeps with the dinosaurs. Just a thought, you could also add in a tidbit about the reappearance of Jeep #18 and #29 in Jurassic World. Specific scene where the two boys come across the original park and the two jeeps abandoned in an old garage.